Looking east on Longwood to the left. To the right is Harvard St. Home of Levi Willcutt. 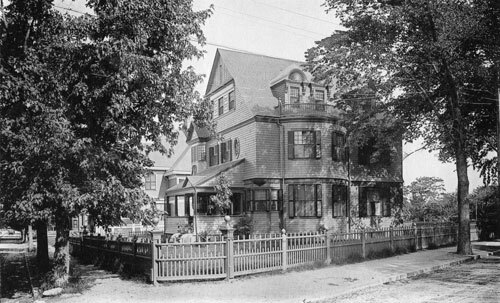 #11 Longwood Ave., home of William Bittenbender, is partially visible on the left.